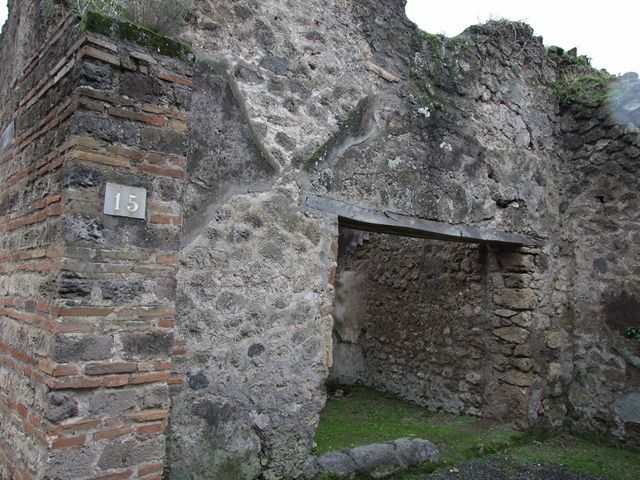 VII.11.15 Pompeii. December 2006. Entrance doorway, looking west from Vicolo del Lupanare. 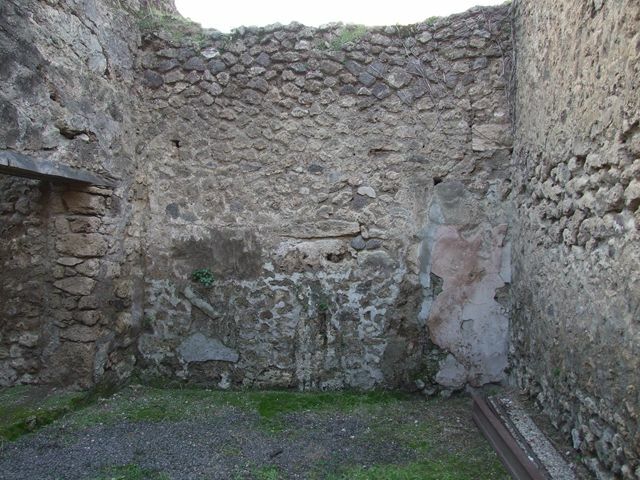 VII.11.15 Pompeii. December 2006. Looking west towards entrance doorway. According to Eschebach, on the right would have been the steps to the upper floor. 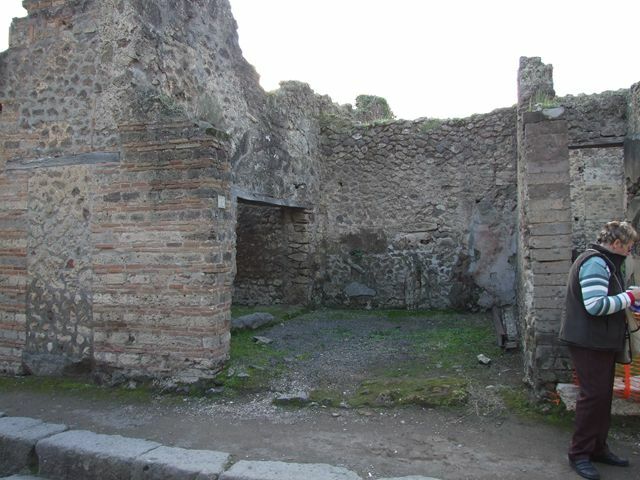 On the left would have been the shop-counter or podium, with the doorway to the neighbouring room behind. 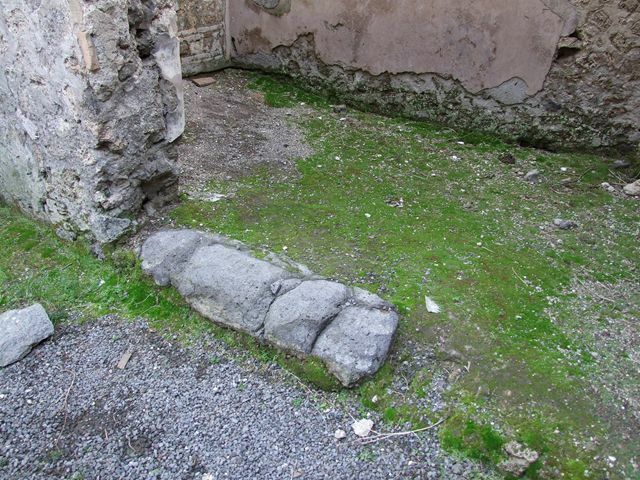 VII.11.15 Pompeii. December 2006. Looking south-west across shop, towards doorway to side room. 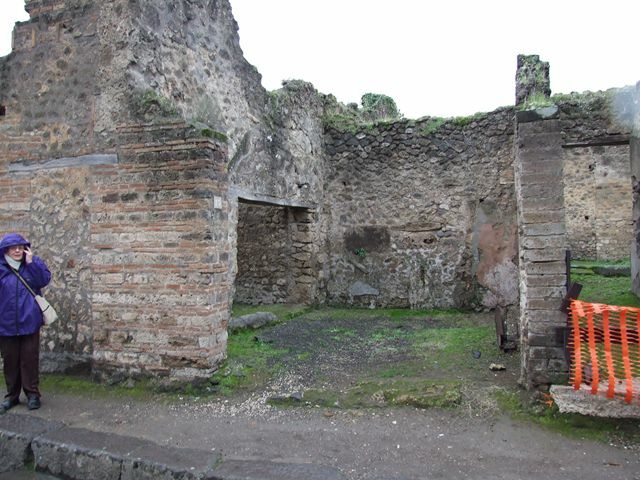 VII.11.15 Pompeii. December 2005. Looking west across shop and side room. VII.11.15 Pompeii. December 2006. South wall with doorway to side room, to left of entrance. VII.11.15 Pompeii. December 2005. Side room to left of entrance, looking south. VII.11.15 Pompeii. December 2006. Side room to left of entrance, looking south. 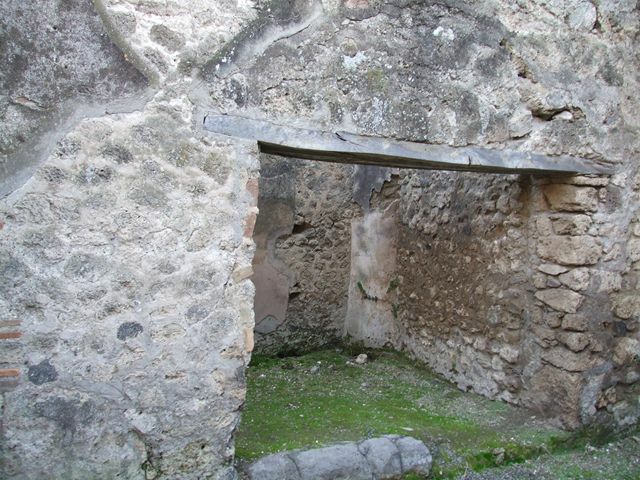 According to Eschebach, in the south-west corner was the latrine and a down-pipe from above. 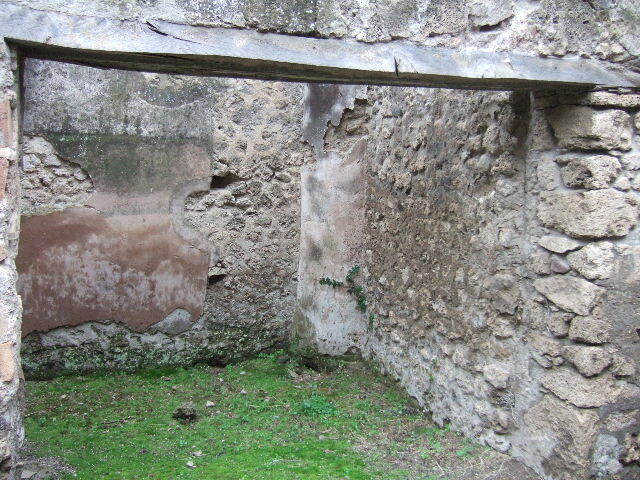 Site of latrine and waste pipe from upper floor on right of picture. 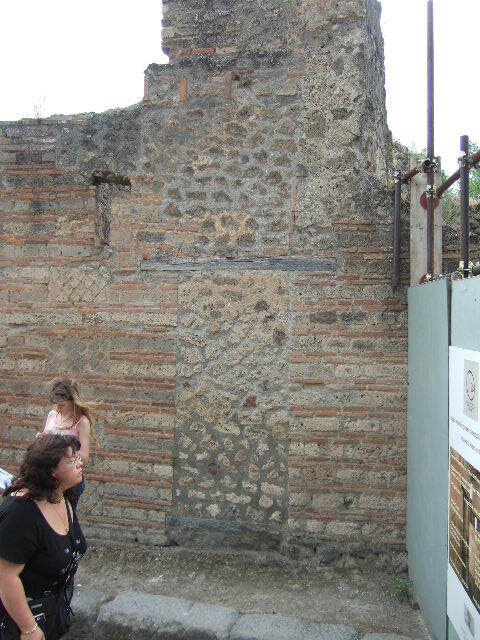 VII.11.15 Pompeii. December 2006. Looking south-east across threshold of side room, to left of entrance. 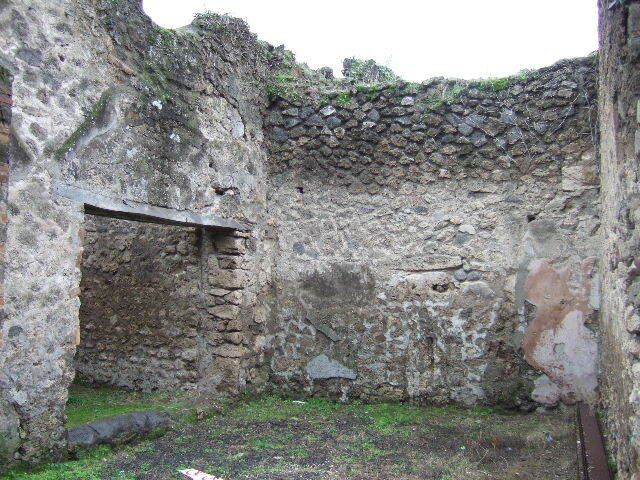 VII.11.15 Pompeii. December 2006. 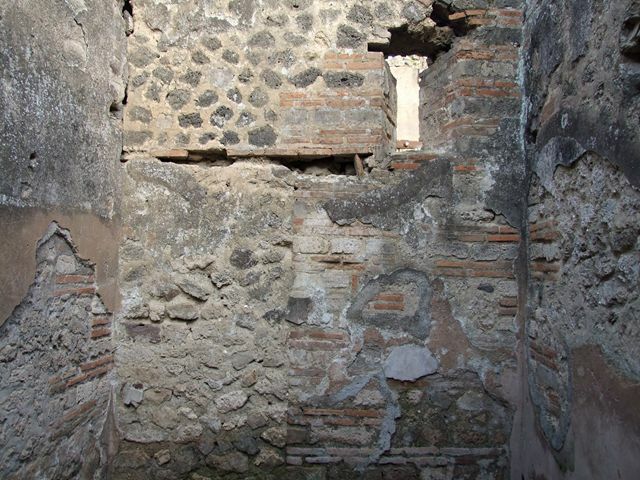 East wall of the side room showing inside of blocked doorway, and window. 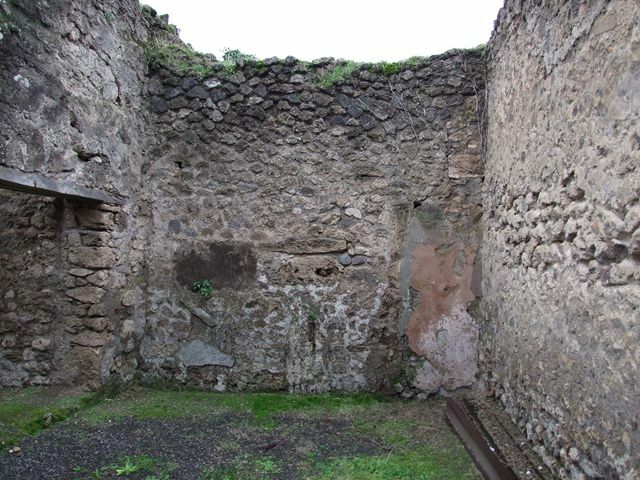 VII.11.15 Pompeii. December 2006. 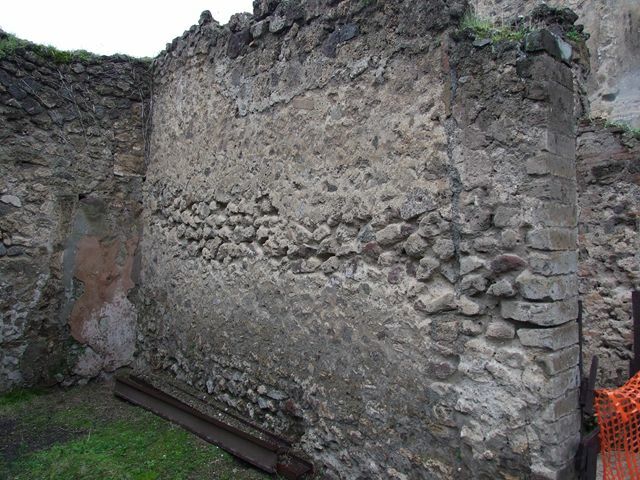 West wall of shop. VII.11.15 Pompeii. December 2006. North wall of shop. 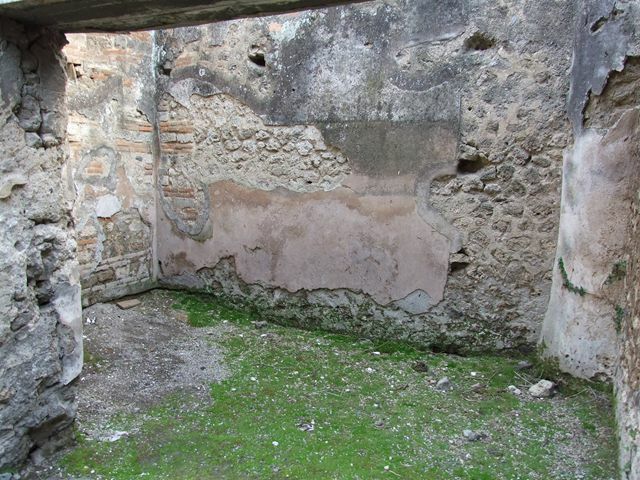 Outside of blocked doorway between VII.11.16 and VII.11.15, Pompeii. May 2006. 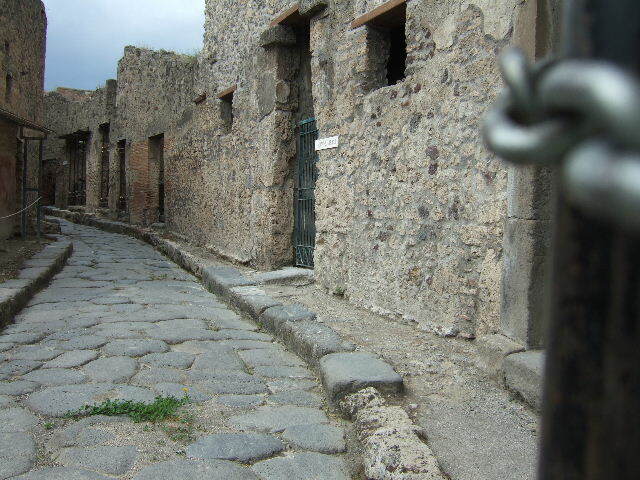 Vicolo del Lupanare looking north from VII.11.15, Pompeii. May 2006.